You should know about BCAAs supplement that is Branch Chain Amino Acids which is very excellent supplement for fastest muscle recovery. They are taken in form of powder or in tablet form. When you are doing exercise to cut calories that time your body will be in a catabolic position. Catabolic means it release energy which is used to drive chemical reactions. That is your body will be breaking down muscles tissue rather than making muscles. Muscle loss done when you are cutting since your body make a choice from a range of possibilities to use amino acids which otherwise it utilize for protein synthesis as form of an energy source. It is very important to know the how muscle building process works. To build muscles mass, it is very important that your rate of protein synthesis of body is must greater than the rate of your proteins breakdown. When it is not near by it, then muscle loss done, and when it is equal then the your muscle mass remains the same. 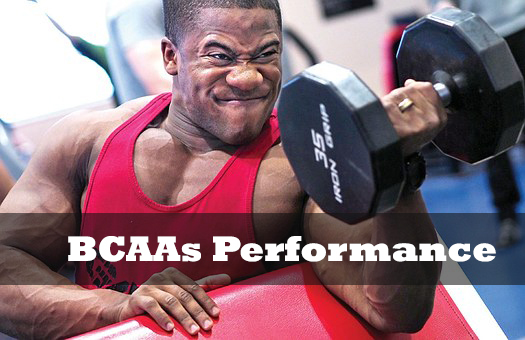 BCAA's helps to increasing your body rate of protein synthesis. BCAAs stimulate the proteins synthesis more so than you regular dietary proteins because they are already broken down into the amino acids that your body requires to carry out the recovery. Therefore the rate of protein synthesis increases. This is an explanation for how BCAAs can maximise your muscle recovery. Muscle repair = more muscle mass growth! BCAAs reduces the protein breakdown. BCAAs also have some other benefits which will help you to achieve your fitness goals. BCAA supplements can help to reduce your tiredness, which can boost your workout. This is one of the main reasons to take it before your workout. They do this by prevent the production of serotonin, which many time rises during workout. Serotonin increases the perception of fatigue in your body which means you will feel more tire during your workouts. BCAAs will prevent this and giving you more energy. Therefore you can work out for last longer, push harder and lift even more heavy weights ! Furthermore, Also BCAAs reduce muscle soreness, that is you can lift more heavy and more reps during the days following intense exercise. Is They Are Suitable For Me? As mentioned, BCAAs are great for those looking to gain muscle mass, as well as those who looking to burn fats. Anyone can take BCAAs supplements and they will give you benefit you in different ways. BCAAs are a great for those who are over the age of 35 to boost the muscles they can build. Even younger who want to extra muscles would benefit from these amino acids, especially leucine shown that it increases protein synthesis by up to 145%. Many people have told that you can get the same benefits of the BCAAs from whey protein. Whey is an excellent source of fast absorbing protein, but it doesn’t have the same effects as a BCAAs. BCAAs supplements are generally harmless, if you fall into one of the following categories, always consult your doctor before taking it. Pregnancy and Breast Feeding:- if you are pregnant or breast feeding, it is not recommended to take BCAAs. Before Surgery – BCAAs have been shown that it affect blood sugar levels, so it is not recommended to take them before surgery. If you are taking them, ensure that you have to stop taking them at least 2 weeks before your surgery. BCAA powder form can be taken in 5g for 2-4 times daily, whenever needed. Take pre-workout, during workout, post-workout or during the entitre day to help with Delayed Onset Muscle Soreness (DOMS). Capsules have different dosage recommendations, our BCAA 1500 can be taken in pairs, 2-3 times a daily. You Should Read:- Painfull Joints? Give Glucosamine.